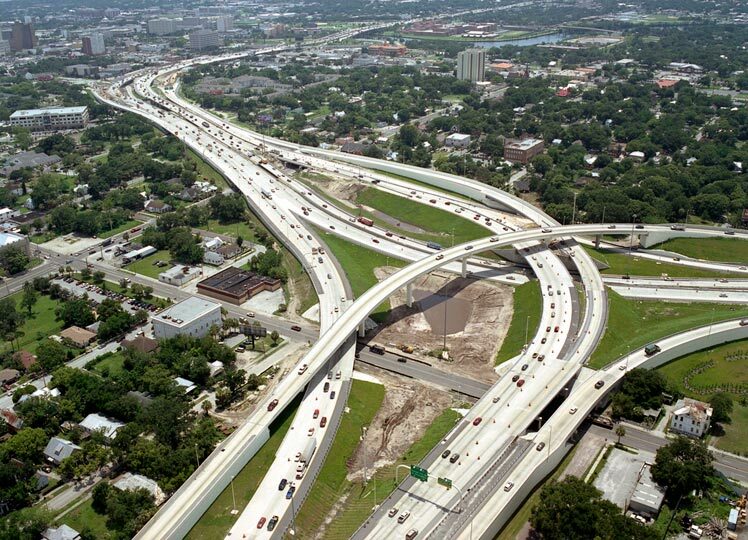 The I-4/I-275 DTI was originally designed in the early 1960s to accommodate 60,000 vehicles per day. Today’s traffic is nearly three times that capacity, necessitating significant reconstruction to provide operational and safety improvements. FDOT determined the ultimate layout would be too costly and require too much right-of-way. 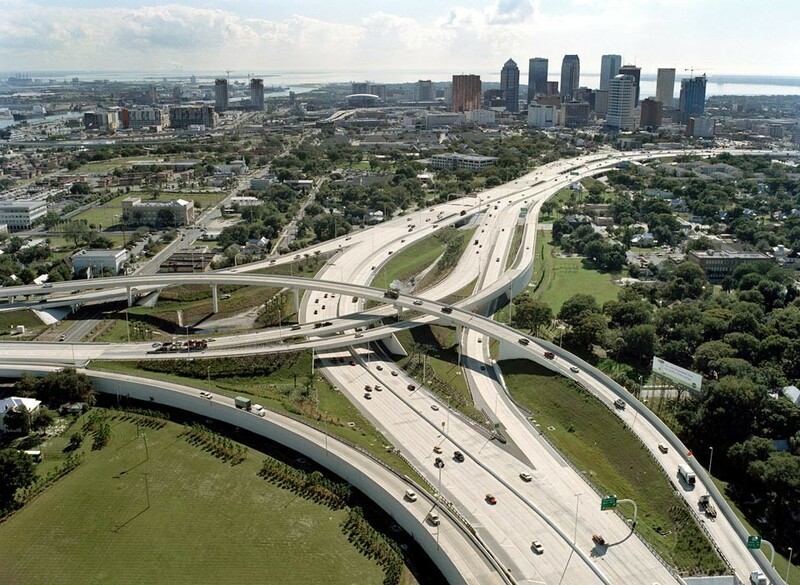 Seeing the immediate need for improvements, FDOT developed this project to improve capacity and function until the ultimate configuration could be constructed in 15 to 25 years. KCA’s role as prime engineering consultant involved providing roadway, structures, and stormwater design as well as project management, utility coordination, and public involvement. Dedicated ramps were added to funnel downtown traffic off the mainline and eliminate operational weaving problems. New on-ramp configurations safely deliver downtown traffic to northbound I-275 and eastbound I-4. Additional through lanes were added midway through design for compatibility with an adjacent project and to improve capacity. 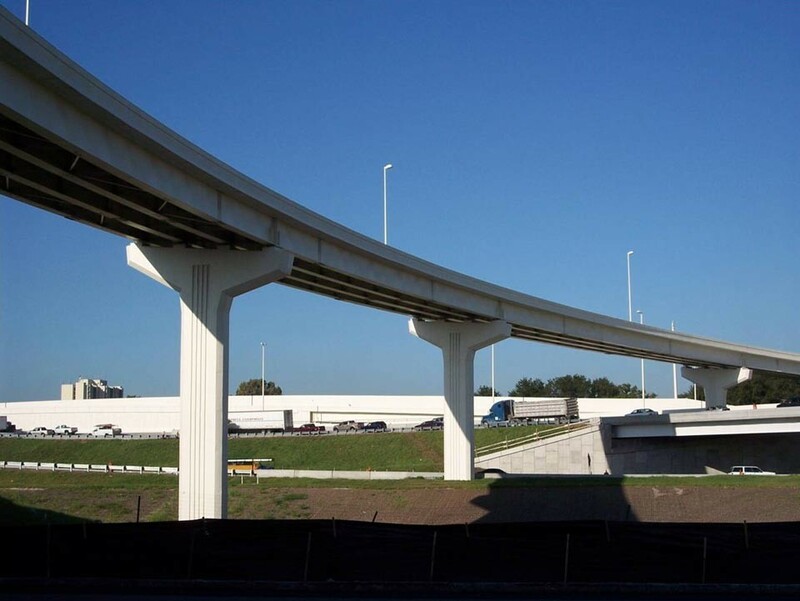 To accommodate the additional lanes and ramp realignments, 26 bridges were widened or replaced, including the new third-level seven-span continuous curved steel flyover structure carrying southbound I-275 traffic onto eastbound I-4. Many of the bridge widenings required innovative structural systems to maintain existing minimal vertical clearance over local roads. 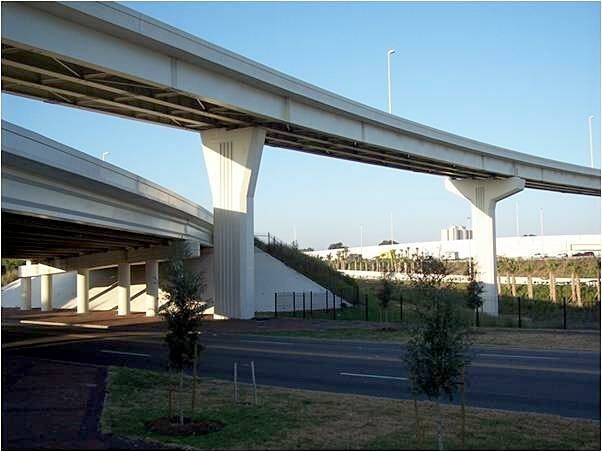 Bridge designs were coordinated closely with traffic control plans to minimize lane closures while removing deck overhangs and widening the bridges. Drilled shafts were used to minimize vibrations and more than 5,500 linear meters of noise wall was installed to shield to adjacent historic buildings and neighborhoods.